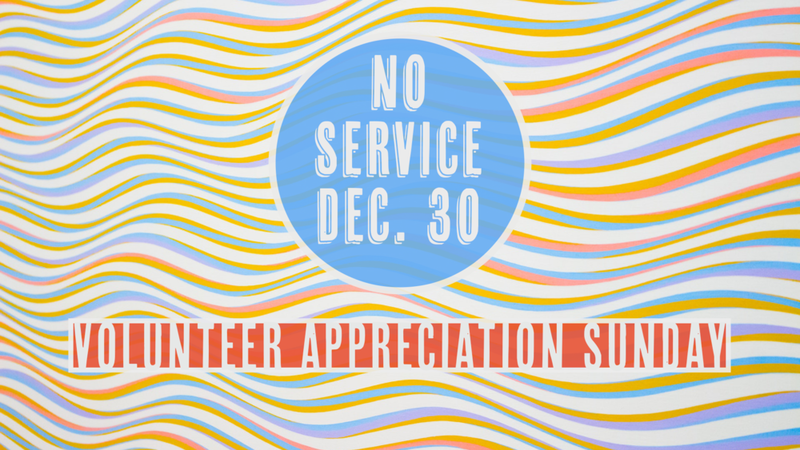 NO SERVICE ON SUNDAY, DECEMBER 30. Every week, 30-40 volunteers serve RiverLife on Sundays and throughout the week. They work hard, and we want to give them a break. So, we're taking a week off from service during the week between Christmas and New Years. So, enjoy a day off--sleep in, eat that extra piece of bacon, spend some time with your family or friends, and say thank you to someone who volunteers at RiverLife.